We Make True Custom Round Picture Frames! 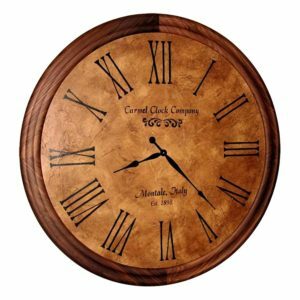 Your paintings and photographs are an investment of time and artistry. 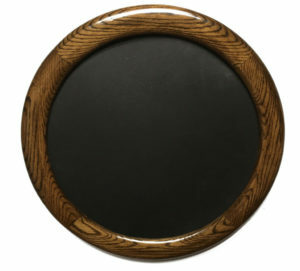 A round picture frame is a unique way to display the images and items that matter to you the most. 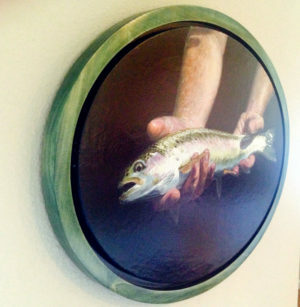 Crone’s Custom Woodworking will make a frame to perfectly complement your piece of art and its surroundings. 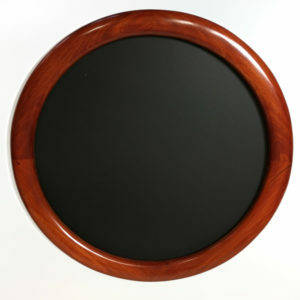 All of our Round Picture Frames are made in custom sizes, and we price each one by specific quote. Once we receive your request a Framing Specialist will reach out to finish your order. 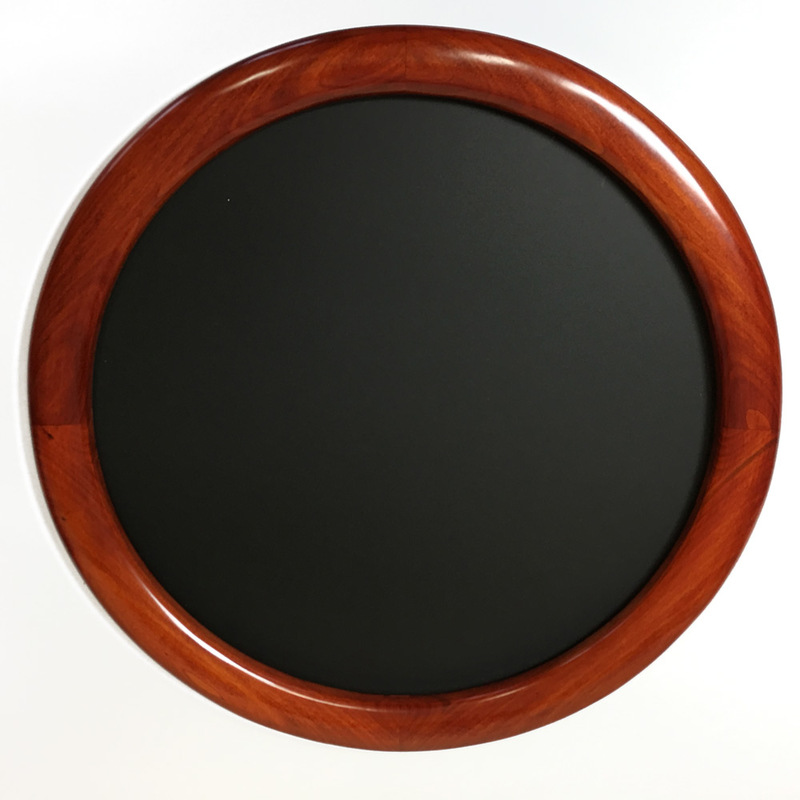 Each round picture frame is carefully crafted with precision and skill, made to your custom specifications. We have a time proven process to construct each frame. Our professionalism means you can be confident you will have a quality frame. The wood will be finished in a stain or paint of your choice and flawlessly sealed to last a lifetime. Safely and easily mount your photograph or artwork in a round picture frame beautifully suited to your needs. 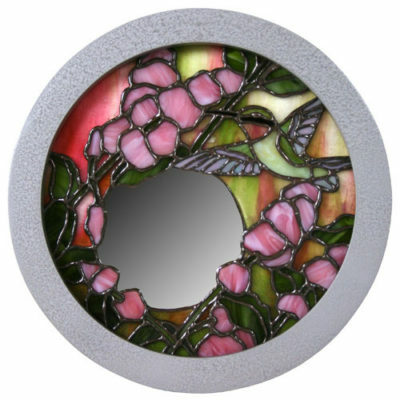 A round frame is a picture of infinity, perfection, and timelessness. Your art, encircled by beautifully cut and polished wood, will make a lasting impression. Choose a wide border with carved detailing for layers of texture and depth, or select a sleek, modern frame with a glossy finish. We will work with you to design the perfect frame for your home or business. Framed in a perfect circle of handcrafted wood, your artwork will make a bold and beautiful statement in any setting. Crone’s Custom Woodworking takes great pride in producing excellent frames. 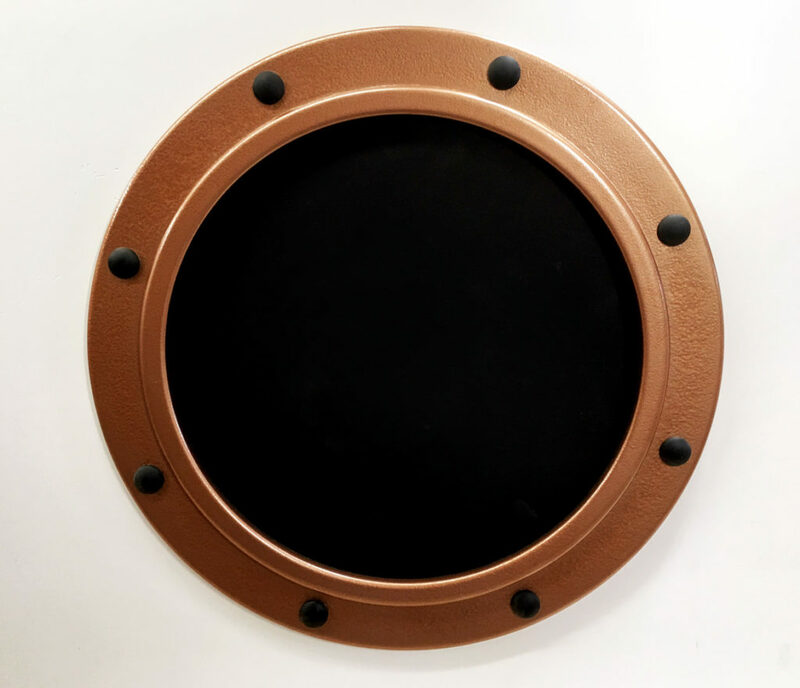 Our round picture frames are made to exacting standards. We will help you match the best construction and finish to match your vision. Our round frames are mitered together and then assembled with wooden spines. These are strong! Our clients are always surprised to learn of the quality of materials selected and obvious support our frames provide. 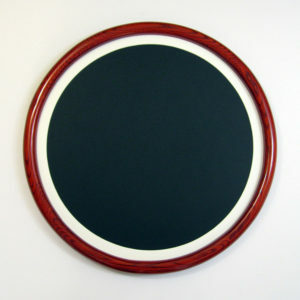 The round picture frame provides a visual break from the straight lines of furniture, walls, and floors. A grouping of small frames or a large round frame can offer a stunning focal point for your home or business. Traditional, contemporary, or eclectic, our frames are an essential component of a beautifully styled space. 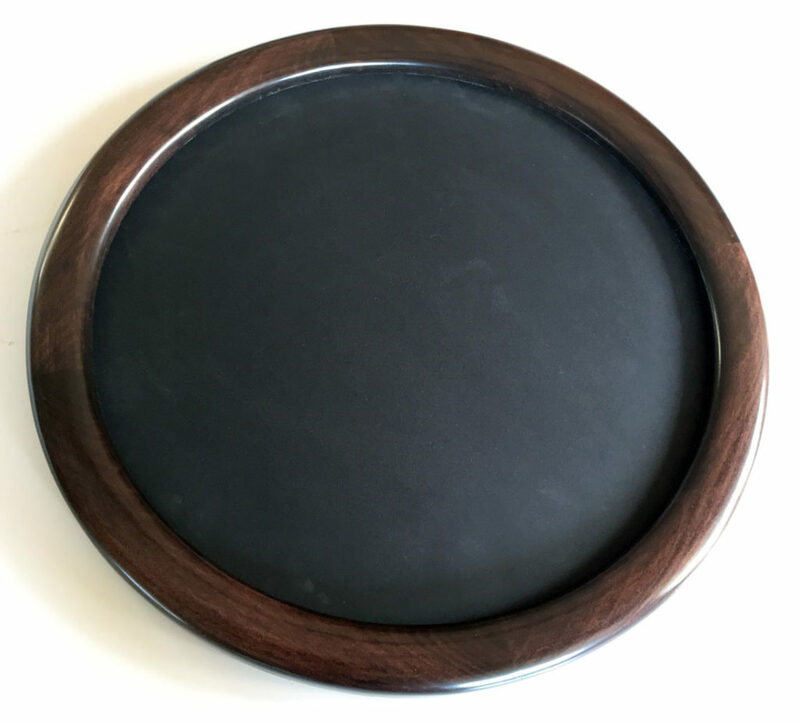 What size does your round picture frame need to be? Measure the widest part of your image, and that will be the inside diameter of your frame. 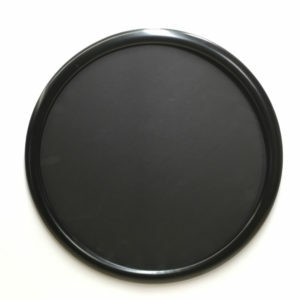 (Be sure the diameter works for your image vertically and horizontally.) The frame itself can be sleek and narrow, letting the image be the focal point. 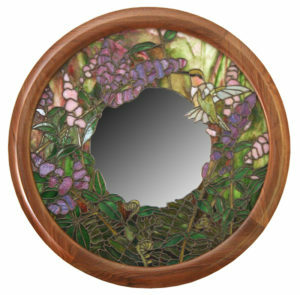 Or the frame can be wide with carved details or an inlaid wood design, drawing the eye first to the beauty of the frame itself and then to the art it encircles. 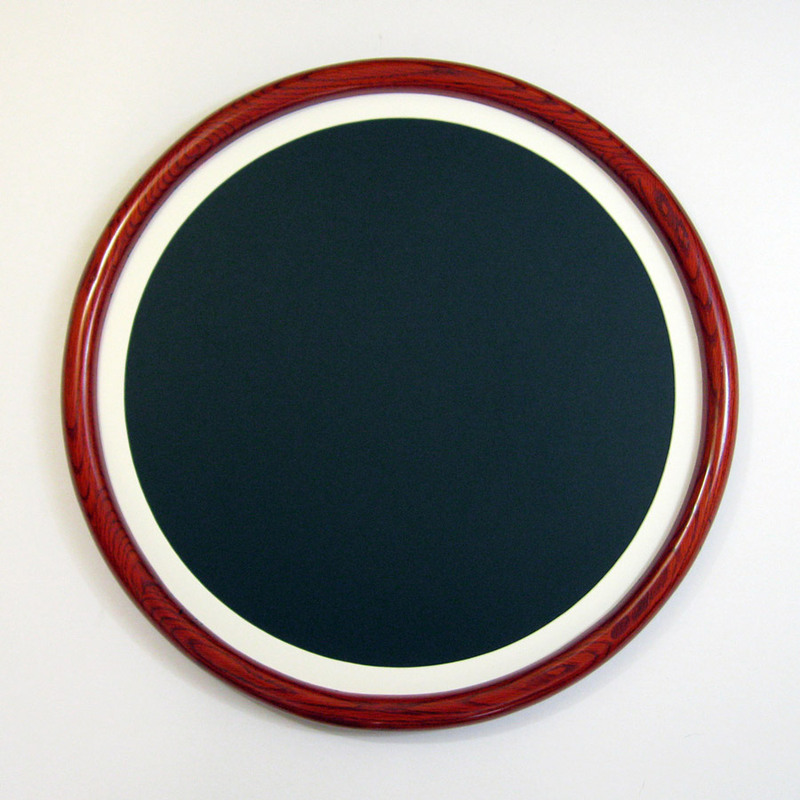 We offer a variety of mounting options to safely and securely mount your framed design on any surface. Contact us today at 1-417-759-9091 to start the process. Paint hides the grain completely; stain simply colors the grain. Stain often brings out the character of the wood grain particularly in species such as poplar or oak. It soaks into open pores and exposes beauty otherwise not as noticeable. Stained hardwood attempts match other items in a room or theme. Our painted frames are most often made of primed MDF (composite fiberboard) which offers a very uniform surface perfect for paint – primer. We always recommend hardwood for framing heavy items such as glass. Hardwood can be painted and offers higher strength than the composite fiberboard. Hardwood is also a better choice than MDF in an area of high humidity. Contact us today at 417-759-9091 to help make the art you imagine a reality.